BRUSSELS (Reuters) - The European Union told Cambodia on Friday it will lose its special access to the world's largest trading bloc, and said it was considering similar trade sanctions for Myanmar in a toughening of EU policy on human rights in Southeast Asia. 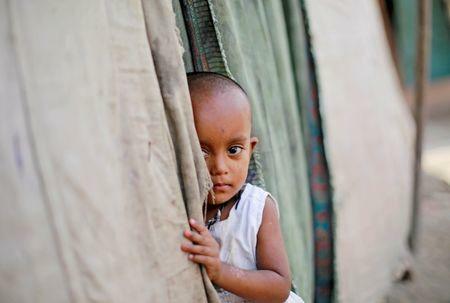 A recent U.N. report accused Myanmar's military of gang rapes and mass killings with "genocidal intent" in Rakhine state and called for its commander-in-chief and five generals to be prosecuted under international law. Speaking to Reuters in Athens on Friday, the head of rights group Amnesty International said the EU should focus its pressure on Myanmar's military leadership. "We would rather see a targeted use of sanctions," said Amnesty Secretary-General Kumi Naidoo. He said Myanmar's leader Suu Kyi, a Nobel peace laureate for her pro-democracy campaigning, had become "unrecognizable" after her actions in the Rohingya crisis. "What Aung San Suu Kyi has done in a role as the leader of parliament has been a betrayal of press freedom, minorities in Myanmar, and democracy," Naidoo said. "She is unrecognizable to The Elders that she was part of, all the progressive things that she did in the past." Suu Kyi was an honorary member of The Elders, a group of former world leaders and Nobel laureates founded by South Africa's Nelson Mandela. 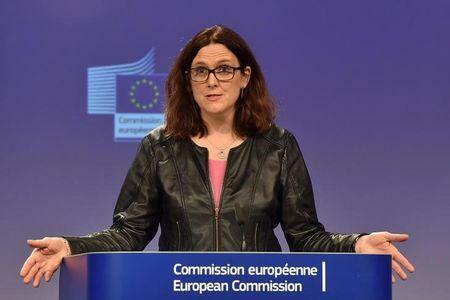 The EU's Malmstrom said she had told Cambodia that the bloc had launched a six-month review of its duty-free access to the EU, meaning Cambodian sugar, garments and other exports could face tariffs within 12 months under EU rules. Cambodia's exports to the European Union were worth 5 billion euros ($5.8 billion) last year, according to EU data, up from negligible levels less than a decade ago, with the EU using its trade policy to develop the country's economy. EU countries accounted for around 40 percent of Cambodia's foreign sales in 2016. The bulk of those exports were from clothing factories that employ around 700,000 workers.